These beautiful earrings feature hammered rhodium-plated hearts from TierraCast suspended below faceted, Siam red Swarovski crystals and hammered caps. Length: 1-5/8 inches excluding ear wire; 2-1/4 inches including the ear wire. 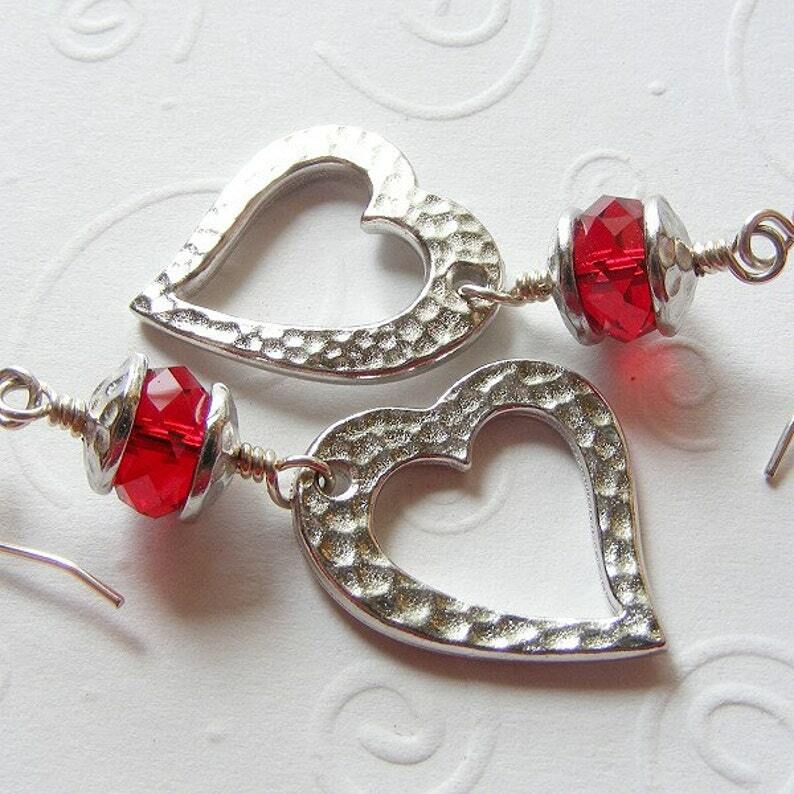 Swarovski Siam Red Rivoli Earrings in Simple Settings with Leverbacks. Round. Prism. Faceted. Crystal.